A Computerised Maintenance Management System, or CMMS, is a software package designed to help managers streamline maintenance operations. CMMSs are used by a variety of industries ranging from retail to manufacturing, schools to wineries and today form the core of their maintenance operations. Implemented correctly, a CMMS can enable its users to effectively maintain their assets, efficiently allocate personnel to any work to be carried out and capture all associated costs, hours, spare parts, etc… In turn the risk of asset breakdowns is significantly reduced and the productivity of those assets greatly increased. The modern day CMMS is usually a web based front end client, using a backend database to store all asset data. Users are able to access and enter data over their company’s network and if configured to do so, over the internet. A company at any stage in their life-cycle can successfully implement and take advantage of a CMMS. New companies making use of a CMMS will grow with the system, creating a ‘company culture’ around effective maintenance. Established enterprises realise there is no greater time than the present to incorporate a system that is designed to save time, equipment and money. The MEX CMMS is a tried and tested CMMS that has over the years developed into a well-rounded system. Incorporating an Asset Register, Work Order and History recording, coupled with a fully functional Preventative Maintenance module, Inspections, Inventory, Readings and apps for the iPhone and iPad. 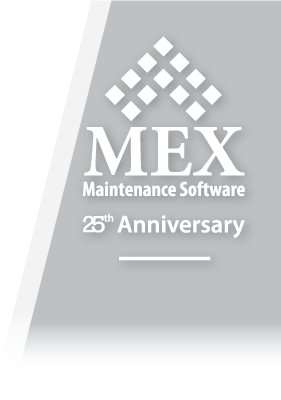 Trial MEX Maintenance Software Online Now. 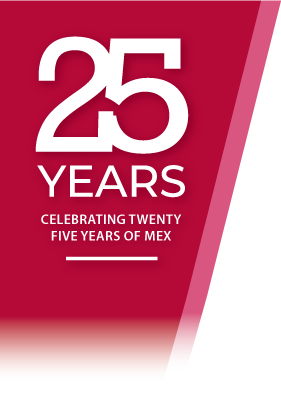 For a quote please use our Request a CMMS quote form to get in touch with MEX Sales.